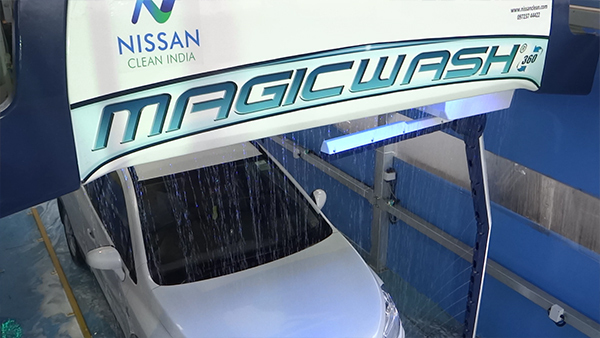 The latest MagicWash 360 by Nissan Clean India takes the standard of touchless automatic car wash systems to a whole new standard. 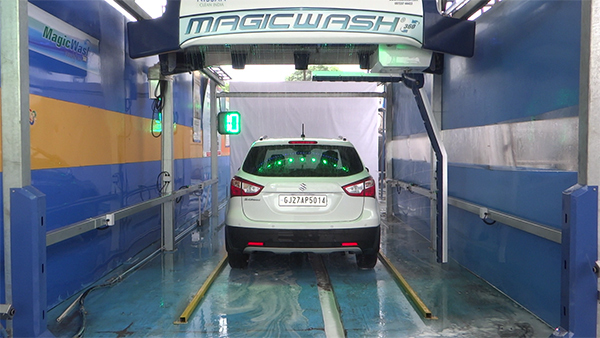 With this new product the key focus has been kept on customers to get the best Return On Investment by integrating machine features with new Revenue Enhancement Technology which enables the buyer to reduce the Total Cost of Ownership. 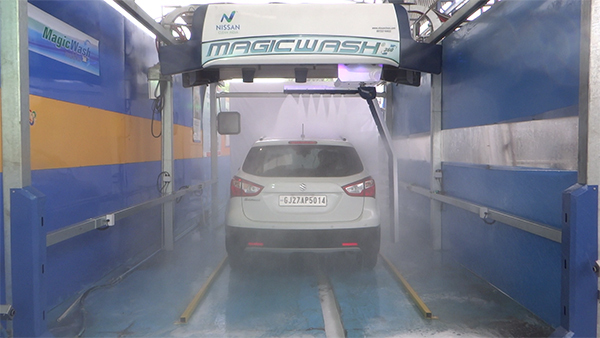 MagicWash 360 has significantly faster washing speed which increases vehicle throughoutput and shorter lines leading to quick customer service. 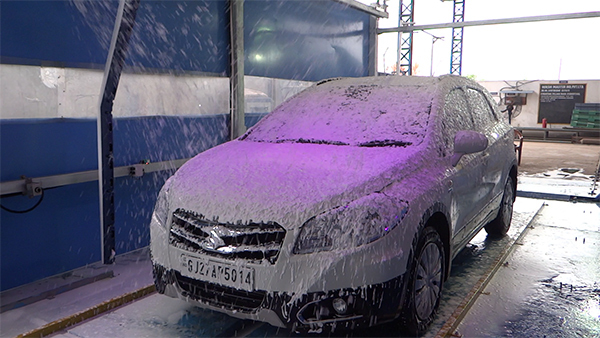 Business profitability is considerably increased as a result of lower utility and energy usage resulting from the simplified design of machine. 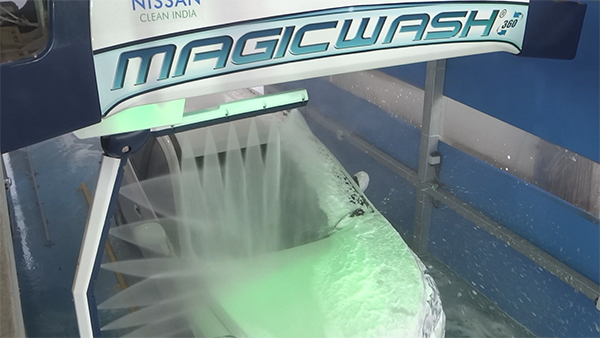 With the features like built-in web interface for Updating, Reporting, Monitoring and Remote Control Operation, MagicWash 360 technology enables the machine to be responsive to dynamic conditions and allows it to “think for itself” and optimize the washing process. 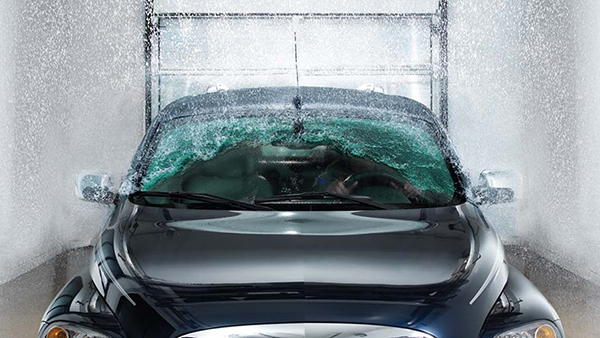 The unique Over-Head design leads to no floor coverage and easy to operate. The Slip-Free Belt Drive which requires no lubrication along with Hot Dip Galvanized Construction leads to negligible maintenance. 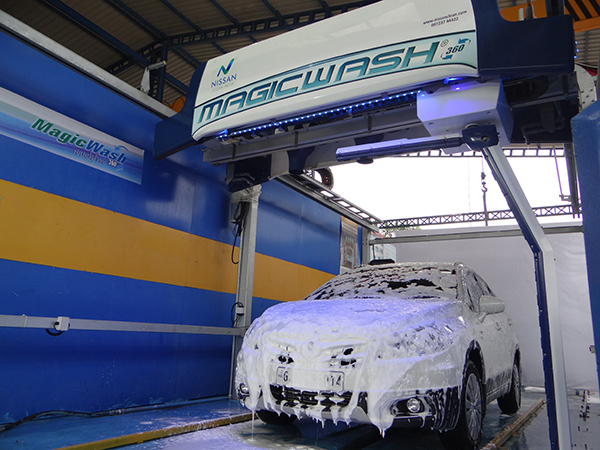 MagicWash 360 is equipped with the most advanced technologies like automatic Self Parking Guide, 3D Detection System, Digital Collision Avoidance System, Tri-Foam, Heavy Duty On-Board Dryer, and 360 degree Rotating Arm. 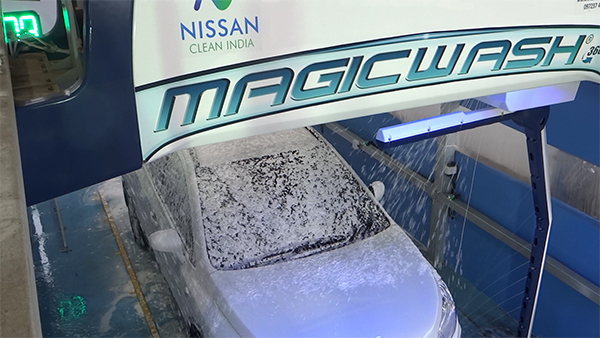 Magicwash 360 is an automatic computer operated machine, developed after more than 10 years of experience and technical principles of most advanced car wash equipment research and development. 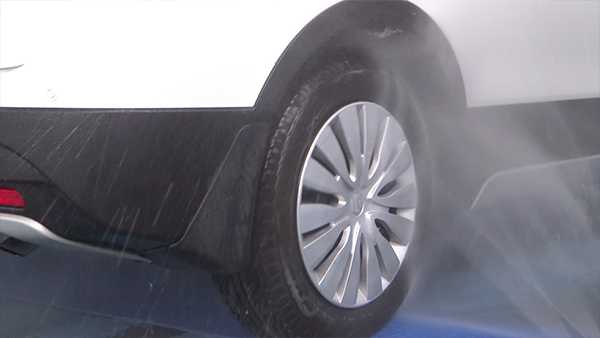 It is fully automated, without manual operation, automatic completion of the vehicle cleaning, waxing, polishing, water spray and air-dried to achieve a real sense of care by the full integration of the smart car cleaning equipment. 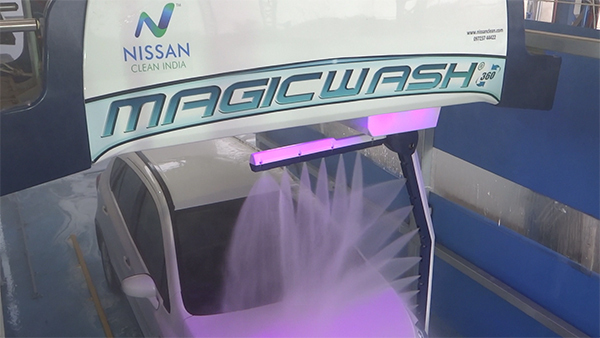 The latest Magicwash 360 in-bay automatic car wash raises the standard for touchless car wash equipment. 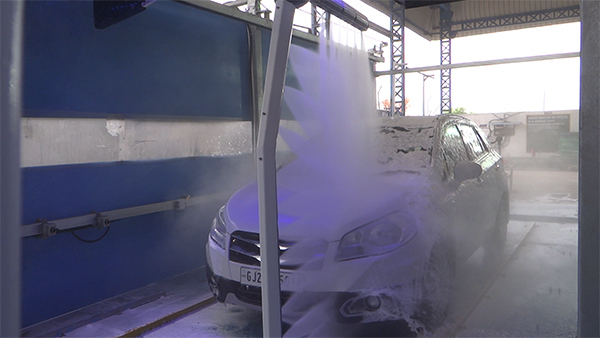 With Revenue Enhancement and Total Cost of Ownership upgrades being the main focus, this vehicle wash system delivers the industry’s best Return On Investment. 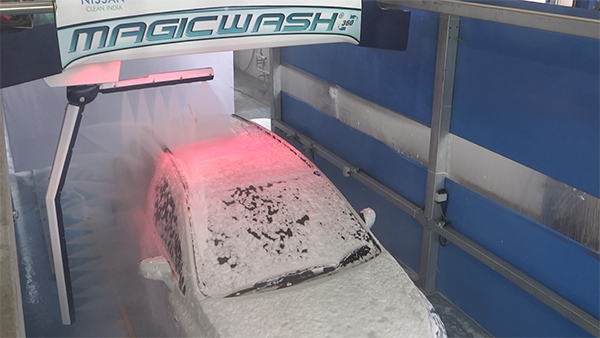 Magicwash 360 Technology enables the car wash system to be responsive to the dynamic conditions in the wash bay and allows it to “think for itself”, increasing up-time and optimizing the wash process.